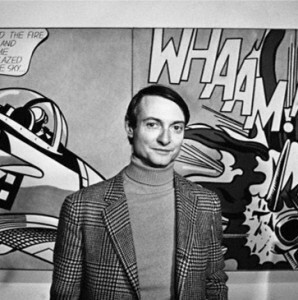 Roy Lichtenstein was born in New York City 1923. 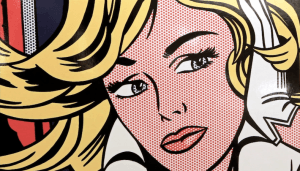 He became famous for his bold, Pop Art paintings of comic strip cartoons and everyday objects. Although best known as a painter, he worked in a variety of media: sculpture, murals, prints and ceramics. 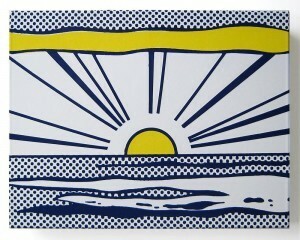 Lichtenstein chose colours carefully, to imitate the four colours of printers’ inks. He also used Ben Day dots, a system invented to increase the range of colours available to newspaper printing. Look closely at his work – can you see how the colours are clear from a distance, but look like tiny dots close-up? To learn more about Lichtenstein click here.